The band was started back in 1992 and was at that time called Mordor. The first demo "Souls Of Purity" was released in 1993. In Dec. 1994 the debut album "Labyrinths Of Horror" was recorded and it was released in June 1995, by Euphonious Records. In 1997 Exmortem was ready with a new recording, this time it was the promo tape called "Dejected". 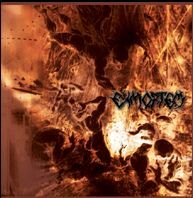 This lead to a new signing with Euphonious Records, who in 1998 released the second album "Dejected In Obscurity". Later in 1998 Exmortem released a new promo tape and two of the tracks from that tape was later released on a split 7" vinyl in 1999. After that Exmortem started to work more professionally and that led to a new line-up with two new members in Simon (V) and Reno (D) and with them a new promo-CD was recorded in 2000. Finally in the end of 2000, the band entered the studio to record the "Berzerker Legions" album and it was released in May 2001 by Hammerheart Records. 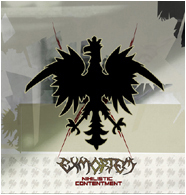 2005: Earache/Wicked World released "Nihilistic Contentment" in Europe and the US. 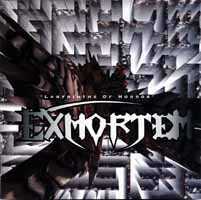 Exmortem followed the release touring England with Behemoth. 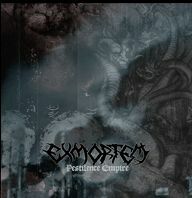 Exmortem is right now making songs for the next album and look for a release in the first half of 2007.